If you look at the barcodes of Fortune 500 companies, 90% of the time you’ll find a Zebra label. 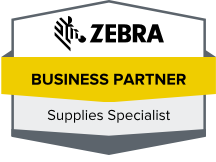 The Zebra-certified experts at Tri-State Business Systems have a full range of Zebra products along with the experience to install or combine them into an effective system for any business. Whether you’re operating a high volume shipping business in New Brunswick or a pharmaceutical manufacturing plant in Edison, Tri-State can find the right Zebra label, printer, and ribbon to meet the unique demands of your role in the manufacturing process or supply chain. We have more than 2 decades of experience in the industry, and can help you avoid the wrong combination of supplies that may lead to smeared labels, premature label wearing, or simply blank labels. We can even help you save money with our offering a 1% discount when you pay your invoice within 30 days. You can count on Zebra products for clear and durable labels that will meet the needs of your production or distribution lines, and Tri-State Business Systems makes it easy to access these products. 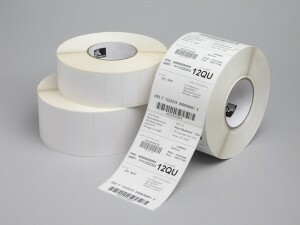 Contact us today to find out more about our Zebra barcode label supplies available in Edison, Rutherford, Piscataway, South Plainfield, and the rest of the U.S.